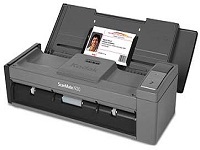 Kodak SCANMATE i920 Scanner Driver, Smart Touch Driver for Operating Systems. Note: Installing the Smart Touch Export Tool installs the tool used to export your Smart Touch setting shortcuts from one computer to another. This tool is only for Windows Operating Systems. , and filed under Scanner Drivers and tagged i920 download, kodak i920 driver, kodak i920 scanner driver, kodak i920 software, scanmate i920 linux.